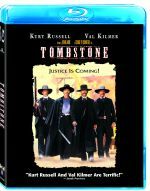 On April 27, Tombstone arrives on Blu-ray. The film, one of two competing efforts to chronicle the life of legendary lawman Wyatt Earp, encountered almost historic problems when the film’s original writer-director, Kevin Jarre, was fired from the production, and replced by George P. Cosmatos. Thankfully, all of that behind-the-scenes drama ultimately had little impact on the film’s commercial success, not only beating Lawrence Kasdan’s Wyatt Earp to screens nationwide, but raking in a tidy $60 million at the box office. Last week, in conjunction with its upcoming Blu-ray release, Hollywood News caught up with one of the film’s co-stars, Michael Biehn, to discuss the drama that swirled around the production. In addition to talking about the tone and atmosphere of that tumultuous set, Biehn explained how he approached playing the film’s most formidable villain, Johnny Ringo, and offered a few suggestions for which of his films he’d like to see released next in high definition. 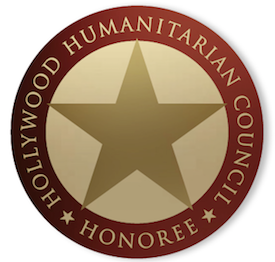 Hollywood News: While was looking for some background information about your participation, I read that this was your favorite or among your favorites that you’ve ever done. Michael Biehn: I’d say between this and The Terminator. I had more fun making Tombstone than any movie I think I’ve ever made. I had more fun making it, but as far as my favorite film that I’ve been in, I had a lot of fun doing Aliens too, but I think that between this and The Terminator, those are my favorite two films. But this was my favorite as far as having fun. It was such an incredible cast and there were so many interesting personalities on that set all of the time, and there was a lot of drama going on, not just in front of the camera (laughs). So it was a very interesting set. The guy who produced it and was down there a lot was Jim Jacks, and he was a guy that I just loved; I just think he’s the greatest guy. Working with [cinematographer] Billy Fraker was great, and I had a lot of fun doing it. I think it might be, from the standpoint of a great role, it’s either that role or Kyle Reese that are my two favorite roles – maybe even Johnny Ringo over Kyle Reese. Hollywood News: Given the fights and firings and all of the stuff that happened, were you able to stay out of all that or did you have to deal with it? Biehn: Everybody that was there watched it play out. It was a sad ending for Kevin [Jarre], who wrote and conceived this script, which was about 135 pages originally, and it was just a beautifully-written script, and it had great characters. It had kind of an old-fashioned dialect to it, and Kevin knew every single detail of his movie, from the moustaches to the saddles to the spurs; I mean, this guy had done his research, and he knew exactly what he wanted. He knew exactly the film that he wanted to make, and in this business it is a collaborative business, and I got along pretty well with him. But for most everybody else there was a situation where he’d never directed a film before, and you’ve got a guy like Kurt Russell and he’s been doing this since he was three, and Val, who is very, very smart, guys like Sam Elliott, and then you have William Fraker, who is one of the greatest cinematographers of all time suggesting how to shoot it, and Kevin just didn’t listen to anybody, and it was kind of bad to see. You know, I had a conversation with Kevin about three or four days before he was fired, to get him to just open up and listen, and I understand, but he was so intense about wanting to make the movie he wanted to make that he just wouldn’t listen to anybody. I think he wanted to shoot it in a way that was kind of old-fashioned and John Ford-like, and I think Disney had some problems with that; they wanted something more like what George Cosmatos ended up doing. But I think Kevin was more interested in doing these wide masters and stuff, and I can’t speak for Kurt and Val, but I don’t think they were particularly happy with conversations they had with him trying to maybe make some concessions and so on and so forth. I don’t like to use the word with Kevin, but he was pretty rigid when it came to his movie… and there wasn’t much like, “hey, do you think maybe I could take this line and movie it?” It was like, this is the way we’re doing it. So I liked Kevin a lot; there was an intensity and a passion that he had for that project, so I was very sorry to see him go. But what that created was we’d been shooting for four weeks, so we had a 135-page script, so basically Disney told Sean [Daniel] Kurt you either cut three or four weeks out of this movie, or we’re going to shut it down. So I would say mostly Kurt and Jim Jacks saved the movie; they made the decision what was not going to be shot that already had not been shot, so they had to start tearing scenes out of the movie. My feelings would get hurt, Bill Paxton’s feelings would get hurt, John Corbett’s feelings would get hurt, because we’d see our scenes disappearing, but it was the only way for us to finish the movie, because I think we finished it on a 12-week schedule and we’d already shot four weeks and they didn’t use any of it. That was really touch and go, and I think you really have to give credit to Kurt Russell and Jim Jacks, and I think Val to a certain extent too, because they were able to kind of massage all of the egos of people like myself and say “this is what we have to do.” That’s kind of how that process went down. Hollywood News: You play a sort of unrepentant bad guy in this movie, but you’ve played villainous characters with all different degrees of complexity. Do you relish the opportunity to be that sort of moustache-twirling villain, or do you try to find something sympathetic in every character? Biehn: Well, first of all, you have to understand that you’re talking to a cowboy, not an Earp, so as far as I was concerned, Johnny Ringo and the Clantons were not the bad guys. This is revisionist history of what happened at the O.K. Corral. The cowboys were basically running that town and it was their town, and the Earps came in and started throwing their weight around. As far as Johnny Ringo goes, I think Johnny Ringo was a guy that was tired of life and looking for a way out. But first of all, it’s tough playing a guy like Johnny Ringo, because Johnny Ringo never shot any priests, you know? Here, you have a real historical character, and Johnny Ringo, from what I read, he never shot anybody. He was wild, he was smart, he was a drunk, and people were afraid of him, but they threw that whole thing of killing a priest in at the beginning of the movie so everybody went “oooooohhh, he’s a really bad guy!” So this is not really a real indication of anything that really happened in his life. What I really tried to do with Johnny Ringo is to give him kind of a sense that he wanted execution by police – where these guys get out of their cars and start shooting because they don’t have the nerve to commit suicide so they just let the police do it for him. I always felt that Johnny had a kind of suicidal bent to himself, and any time he got into a situation where it was life and death, that was the only thrill he got out of life. There was nothing to live for, and he’s smarter than everybody else and I think he was just jaded and wanted out, so when he had a chance to have a shoot out with Wyatt Earp, or when he had any chance to have a shootout with Doc Holliday, [he took it]. I think he was kind of an adrenaline junkie where that’s like the only thing that will get him excited; it’s like these guys who race cars or jump out of airplanes. These guys do something that takes them to the edge of life, and then he comes back. I think he was looking for a way out, so when he says to Doc Holliday, “alright, let’s do it,” there’s kind of a twinkle, kind of an air of this should be fun. He’s not scared, he’s not angry, he’s not anything; it’s just let’s roll the dice and see what happens. That was something I tried to give him other than, oh, he’s just a bad guy! Hollywood News: Are there any other films of yours, whether they’re blockbusters or lesser-known projects, that you’d like to see upgraded or remastered in high definition? Biehn: The Blu-ray treatment? Well, my favorite films that I have done are Tombstone, Aliens obviously, The Abyss obviously, The Rock, and I did a movie called Rampage which was kind of an interesting movie that Billy Friedkin did. That’s probably one I would like to see done in Blu-ray, which probably nobody’s paid attention to. I did a miniseries years ago called Deadly Intentions which they’ll probably never put on Blu-ray, but that was one of my better performances. I think that kind of covers it; somehow I’m missing one movie that I thought that I did that liked, but I can’t remember what it was. But probably out of all of those movies, the least well-known that I like the most is Rampage, which is a William Friedkin movie about the death penalty which is scored by Morricone, and it’s kind of an interesting. I can’t believe this is coming to blu-ray. So awesome!